This is about the characters I played. 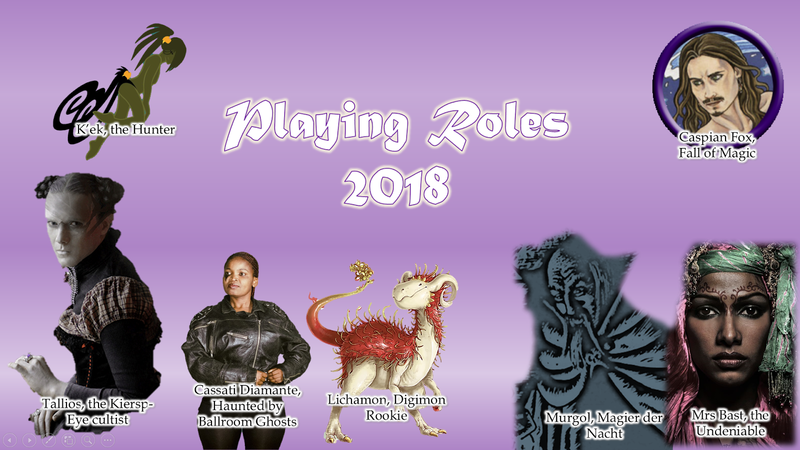 In Part 1 of my review of 2018 I talked about my RPG activities, in Part 2 about my gaming - but now we come to the core of it: the roles - as in role playing. This third and celebratory post is giving all the attention to our protagonists: the characters we played. Let's give them all a big applause for the good time they gave us. Statistics sound boring. But they don't need to be. I track my roleplaying activities to learn, to reflect and to make visible. I think there are some interesting points in here for others, too, hence the publication of the data and my accompanying thoughts. This is the second part of me looking back into 2018 and what has happened in terms of roleplaying for me personally. Part 1 focused on my activities beside playing. This part is about playing. 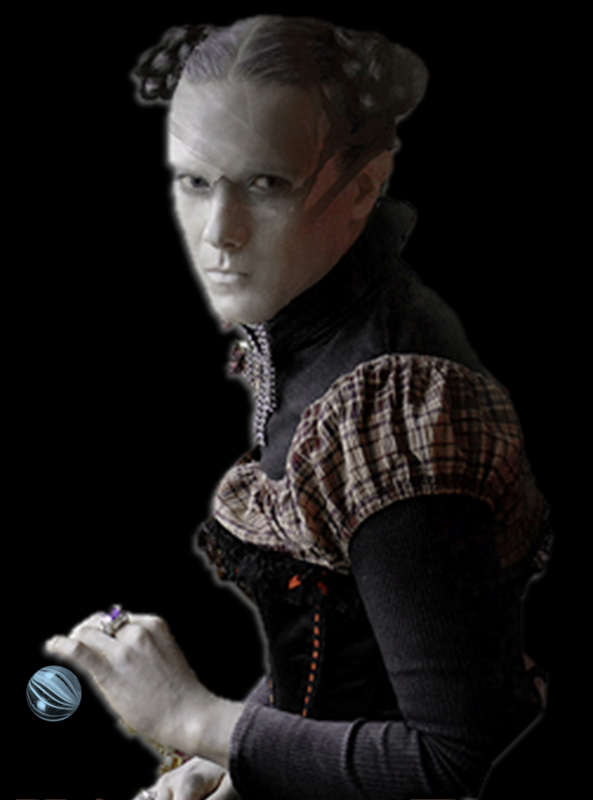 Part 3 will be the award ceremony for the characters I played. I'm carefully tracking my roleplaying activities for a couple of years now. 2018 was no exception. For the next three blog posts, I talk about what I have done and played with some deeper insights behind my personal statistics. This is a re-post of a blog article I wrote for The Gauntlet Blog. It's an article for online game facilitators and how they can structure the social aspects of a game session: how to discuss the game, bring in safety tools and eventually how to share the roles which usually all seem to automatically fall into the facilitator's lap with other players. I provide a template I created for your convenience. The final paragraphs are dedicated to how to end a sessions, namely how to do a debrief - and finally why debriefing and feedback are so hard to separate from each but should be separate. 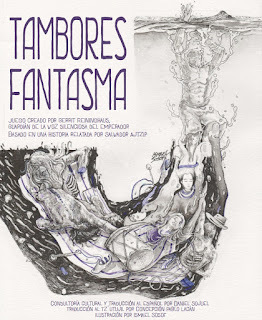 Ghost Drums is a a short story game by Daniel Sojuel and me with art by Ismael Sosof. You can find it in the latest Gauntlet Codex issue, Dark 2. To buy a Codex issue you need to join the Patreon for the respective month (December) on the $4 pledge level. It will later next year be available on DriveThruRPG, too. With Codex Dark 2 you'll get the game twice: once in English and once in Spanish. 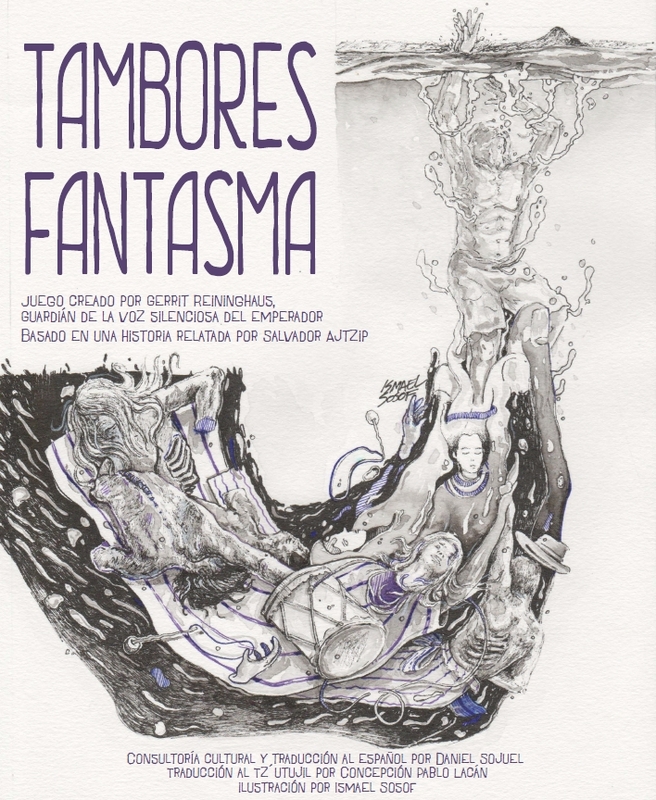 The game is based on an old Tz'utujil Mayan legend. The legend is also included in Tz'utujil. 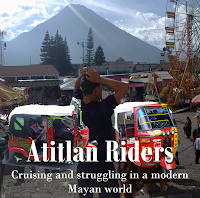 Ghosts who drown in lake Atitlan (Guatemala) return to the town of Santiago Atitlan (where I currently live) to haunt the living. But they are forced to carry drums, so the living can escape them. One day a visitor from the North comes and steals the drums as they make nice souvenirs. This year I started a new project on the Gauntlet Hangouts calendar under the name: live action online games. 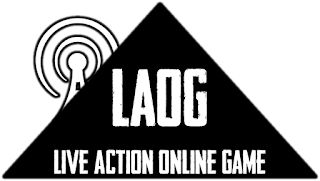 It’s my attempt to bring some of my favourite moments I had in Nordic larps and American freeform into an online world. 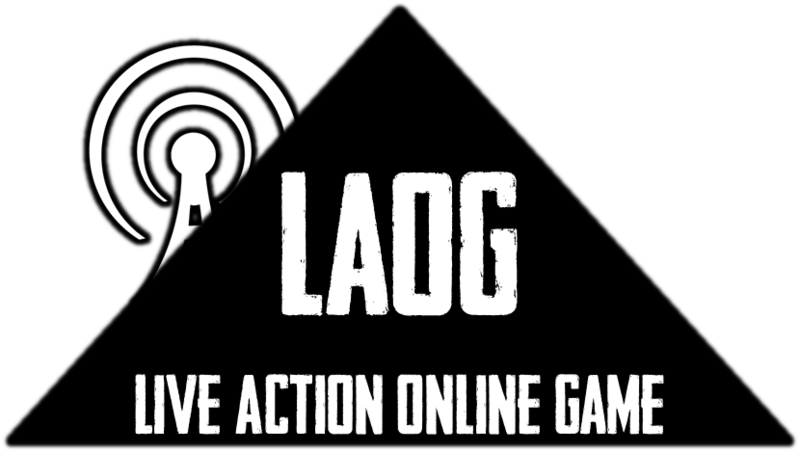 In a laog, you stay for the actual play time 100% in-character, often the nature of the video call is part of the game. There can be mechanics or meta-techniques but we don’t describe what our characters are doing, but what we do, we do. 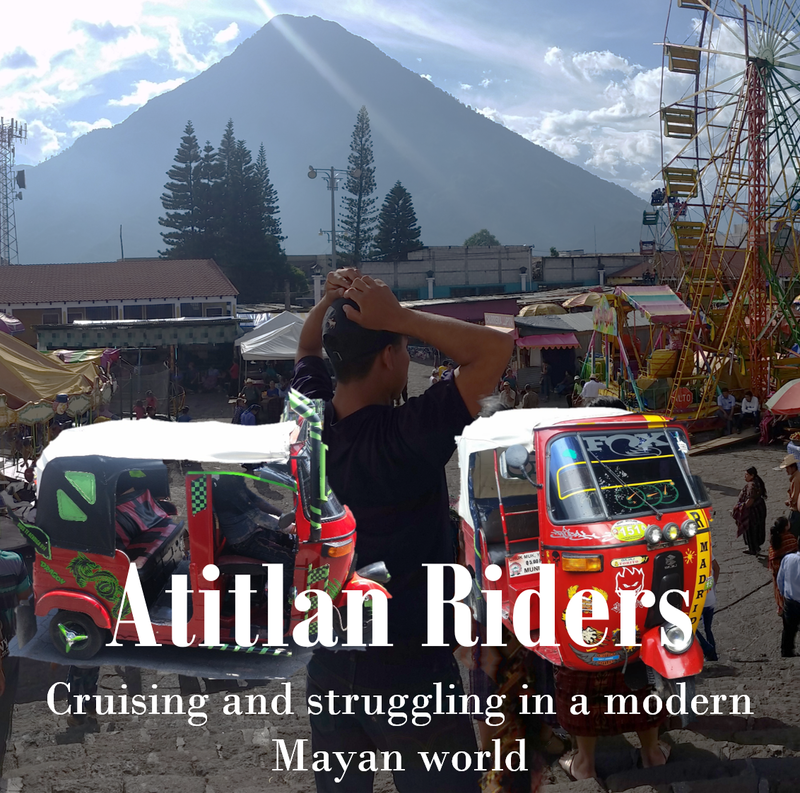 Atitlan Riders is my Powered by the Apocalypse (PbtA) roleplaying game (RGP) about coming-of-age in a modern Mayan town in Central America - and about secretly being fast and furious tuk tuk racing drivers. The time has come to present the PbtA story game I’m currently developing to the public. In this article I would like to give you an idea of what the game is about, share with you some design elements, where I currently stand in terms of development and what I have in mind for the future of the game.